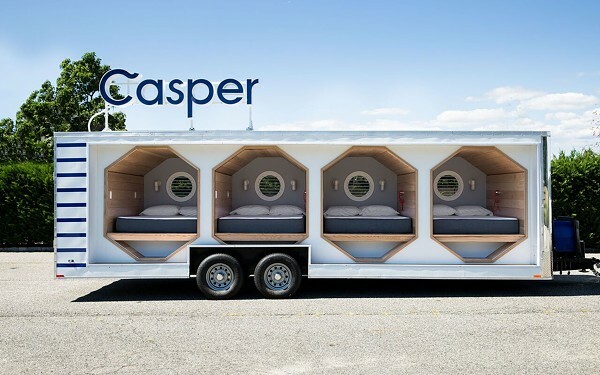 Casper, the sleep startup named one of the “Best Inventions of 2015” by TIME Magazine, is putting a nap on wheels and bringing free naps to St. Louis this weekend. The startup’s Nap Mobile will be at St. Louis PrideFest (1315 Chestnut Street, to be specific) Friday, June 24 to Sunday, June 26. Known for its rapid growth, Casper launched in 2014, making buying a mattress stress free with online ordering and delivery. They’ve since expanded to sheets and pillows. The Casper mattress review from Review.org rates Casper a 4/5, and ranks it the #2 best mattress for back pain. 52% of St. Louis respondents would trade free coffee for workday nap. 72% of St. Louis respondents are asleep at 11pm or earlier. 52% of St. Louis respondents have taken control of their dreams versus the national average of 38 percent. 19% of St. Louis respondents experience insomnia and trouble sleeping on Sunday nights versus the national average of 6 percent. 83% of St. Louis respondents have made an effort to improve sleep quality. 86% of St. Louis respondents take naps versus the national average of 70 percent. Already anticipating the need for a quality sleep sesh? You can book a 15-minute nap on the calendar here.